Every year, the same questions. Fans want to know why there is a need for the Football Black List, writes Leon Mann. Some go as far as calling it racist - as it excludes white people. While others ask whether I would support a Football White List? I used to get angry with these messages. Now, I see them as an opportunity to highlight exactly why - even after 10 years of this initiative - the game needs this more than ever. For those unfamiliar with the Football Black List, it shines a light on people of African and Caribbean backgrounds in the game. It celebrates black people who are making waves in British football with their activities away from playing. This could be a manager, senior administrator, a player doing charity work or a community hero working wonders at grassroots level. To truly appreciate why such a list is important to football, understanding the context is vital. Almost half of the England squad (47 per cent) at the World Cup in Russia this summer had roots in the black community. 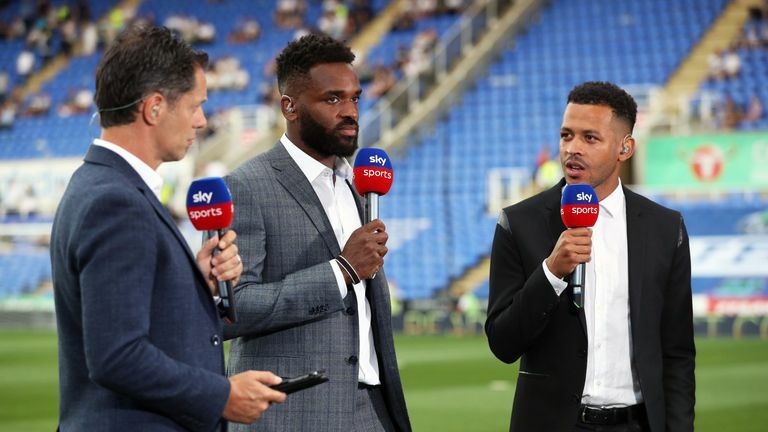 In the Premier League and EFL it is estimated that black professional players make up more than 30 per cent of the total playing population. The contribution of footballers from African and Caribbean backgrounds has long been significant. Pioneers from the 1970s such as Cyrille Regis, Brendon Batson, Laurie Cunningham, Viv Anderson and Clyde Best, opened the doors for the likes of John Barnes, Ian Wright and Rio Ferdinand, who in turn helped to inspire the superstars of today - Raheem Sterling, Joe Gomez and Dele Alli to name just a few. But when you look at every area away from those playing it is a very different situation. In the dugout, there are just seven managers from a BAME (Black Asian Minority Ethnic) background across the 92 professional clubs. Across all the senior coaching roles at the clubs, just 4.6 per cent are filled by BAME people, according to research from the Sports People's Think Tank (2017). At boardroom level, Burton Albion's Ben Robinson is the only British owner or chairman of a club with black roots. He did his first stint as chairman in 1976 - and still remains the only one. Les Ferdinand and Brian Tevreden, at QPR and Reading FC respectively, are the only black directors of football across the 92 clubs. In the sports media, BCOMS (Black Collective of Media in Sport) recently revealed that just one black journalist was sent to cover the World Cup out of 63 in Russia with the national newspapers. In every single area of football - be it management, administration, player representation, media or medical - black people are heavily under-represented. This is why myself and sports journalist Rodney Hinds created the Football Black List. The concept is simple but powerful. We shine a light on black excellence in the game. This helps to inspire and encourage other people from the black community to follow in their footsteps and create change. The list gives deserved recognition to those who are often overlooked at industry events and, importantly, highlights a pool of successful individuals to employers in the sport looking for diverse and dynamic talent. The initiative is not the sole answer to a complex and deep-rooted problem but it is part of the solution. Alongside structural and proactive measures put in place by the football industry leaders, we can make a real impact. And change is happening. Some key developments in recent years include the Football Association adopting the Rooney Rule across every position at the governing body and recently adding a BAME coach to every England set up. The EFL showed leadership by putting in place a mandatory recruitment code at academy level for coaches, which has had some positive results. Meanwhile, the Professional Footballers' Association have been funding a corporate governance course aimed at BAME former players and the Premier League have made nine places on their annual Elite Coach Apprenticeship Scheme (ECAS) available to BAME and female coaches. The question then is change happening quickly enough? No - in my opinion. But the current levels of commitment and openness to positive action initiatives - such as the Rooney Rule - compared to 10 years ago when the Football Black List was launched are markedly different. As for a Football White List, without the same context as the Black List it serves no real purpose. White role models are highly visible in absolutely every position imaginable and are awarded regularly by the industry. When the black community and other minorities arrive at this point - an argument to confine the list to the history books may well have some legs. But for now, we will continue to celebrate those who deserve recognition and provide inspiration to the next generation. This year's Football Black List event takes place on Thursday night.